As a marketer, a catchy but effective headline is your entry into your reader and potential customer’s world, which can be a very busy space to occupy. Some people have even devised specific strategies to make it easier – ranging from fill-in-the-blank templates to waiting until the last minute to whip up something good and creative. In this webinar with headline extraordinaires Dan McGaw, CEO of Effin Amazing, and Jordan Loftis, Content Marketing Strategist at CoSchedule, you will learn how to write the perfect headlines to drive more traffic, shares, and search results! You’ll even get a massive template, “117 Master Headline Formulas,” at the end of webinar! Jordan is CoSchedule’s content marketing strategist. His content chops run deep, from copywriting to hosting the “Actionable Marketing Podcast.” To date, he’s ghostwritten 18 business books, is a frequent speaker at conferences and retreats, and loves a good dad joke. CoSchedule is your all-in-one marketing calendar for everything. 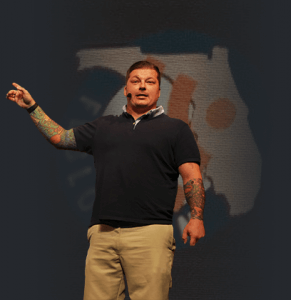 Dan McGaw is an award-winning entrepreneur and speaker. He is also the Founder and CEO of Effin Amazing, an analytics and growth consultancy that helps product and marketing teams get data-driven and optimize their businesses. 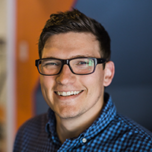 Coined as one of the original growth hackers, he has led the teams at Kissmetrics.com and CodeSchool.com. In 2015, Dan was selected to be a United States Ambassador of Entrepreneurship by the United State State Department, where he had the privilege to advise universities, governments and private corporations on how to build entrepreneur ecosystems.